One of filmmaker Raihan Halim’s greatest wishes is to dispel stereotypes about Muslim women. He recalls an episode of No Reservations where Anthony Bourdain went to Iran and he met this awesome lady in a hijab who introduced him to her flat screen TV, collection of Grey's Anatomy and other modern fixtures. Muslim women are not all docile and conservative and Raihan himself has female friends who wear the hijab yet listen to punk music and watch Michael Bay movies. It is no wonder he made the movie Banting, a movie about a girl in jihab who wants to pursue her dream of becoming a professional wrestler. Kind of like a Singapore version of Bend it like Beckham. Banting was released commercially in 2014. Distributed by mm2 Entertainment, it was the first commercial Malay film to be made and released commercially in Singapore in a very long time, since 1975 in fact. Yasmin, the protagonist is raised in a strict household, yet finds her passion in her life when she begins to secretly take professional wrestling lessons at night. She even has a wrestling pseudonym that goes by ‘Zarith Blade’. Her determination and love for the sport propels her to be included in an all-female wrestling troupe trained by a tough has-been coach. However, when her disapproving mother finds out, things get challenging for Yasmin and she needs to (here comes the cliche) overcome the odds. This movie, though simple in plot, is a feel-good comedy treat that entertains as much as it provokes. A dozen larger-than-life characters like Queen Kong, The Sisters, Pretty Baby and Killer Bride will assault your senses like wrestlers do. But what’s more interesting is also a ‘hijab removal’ moment in the middle of a match. Overall, a good way to #supportlocal this Hari Raya. 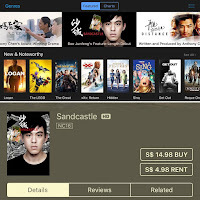 What makes it even more timely is that Banting joins a list of Singapore films that have just been made available for purchase or rent on iTunes Singapore. This the highly commendable work of A Little Seed, a local film aggregator started by local filmmaker and founder of Mocha Chai Laboratories Chai Yee Wei. 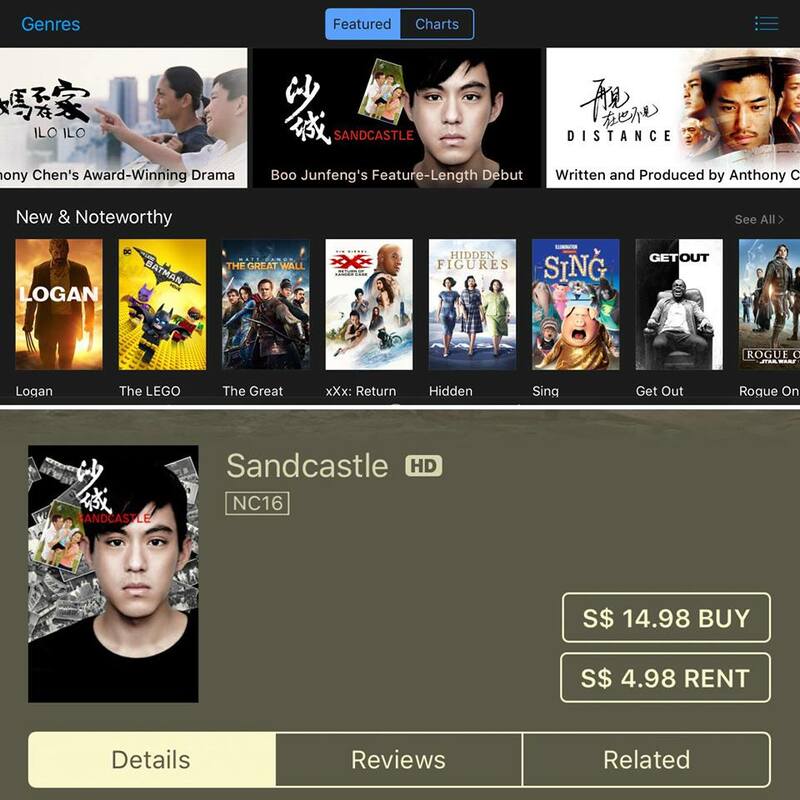 Some of the other film titles on the iTunes list include Anthony Chen’s Ilo Ilo, Eric Khoo's Mee Pok Man, Boo Junfeng's Sandcastle, Ken Kwek's Unlucky Plaza and Royston Tan’s 7 Letters Anthology. This is a collaboration with Objectifs Centre for Photography and Filmmaking, which did the curation. Believe or not, Ilo Ilo’s DVD print has run out so this platform is a timely godsend. According to Yee Wei, A Little Seed will seek more works from with other independent filmmakers across Asia and bring to market works that deserve a continued audience. We did an extremely candid interview with Raihan back in 2014 about his film Banting and the full interview can be viewed here. Here are some priceless excerpts from the interview. Given the recent announcement about Raihan’s win at the 2017 Hong Kong - Asia Film Financing Forum (HAF), we wonder which part of his new project ‘Ban’ fits into. Raihan bagged two awards at HAF for La Luna, a comedy film about a young woman who owns a lingerie shop in a very austere Muslim region that still clings to its antiquated traditions. He took home the Wouter Barendrecht Award and the White Light Post-Production Award (HAF Project). Sounds like some lunacy and lots of fun! We can’t wait.